Lucida’s new gender-specific program addresses the unique challenges facing men with primary mental health disorders as well as addiction and co-occurring disorders. We create an environment where men can feel comfortable being themselves and get support from other men who understand what they’re going through. Lucida® Treatment Center, a mental health and addiction treatment center in Florida, launches a men’s primary mental health program, in addition to current program offerings that address addiction and co-occurring disorders. In a safe, gender-specific (but not gender-exclusive) setting, clients can openly share difficult feelings with support from other men, while also having supervised opportunities to interact with the opposite gender. 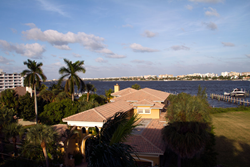 Lucida® Treatment Center is a Joint Commission-accredited addiction and mental health treatment center located in a beautiful setting just steps from Florida’s Intracoastal Waterway in Palm Beach County. The facility offers highly individualized, evidence-based treatment that includes 12-Step and non-12-Step support options. Lucida® offers gender-specific programs for men and women that address primary substance abuse with co-occurring disorders or primary mental health issues. For more information, call (855) 893-5987 or visit http://www.lucidatreatment.com. Lucida® Treatment Center is a member of Elements Behavioral Health, the owner of a nationwide platform of behavioral health programs with over 750 licensed beds throughout nine states. The Elements Behavioral Health® family of programs offers comprehensive, innovative treatment for substance abuse, depression and anxiety disorders, eating disorders, trauma, sexual addiction, and other mental health disorders. Through its programs, the company is committed to delivering evidence-based, clinically sophisticated treatment that promotes permanent lifestyle change, not only for the patient but for the entire family network. For more information, visit elementsbehavioralhealth.com.